A Girl and Her Scout: Artist Hightlight: Hearts A Bustin! and GIVEAWAY! Artist Hightlight: Hearts A Bustin! and GIVEAWAY! 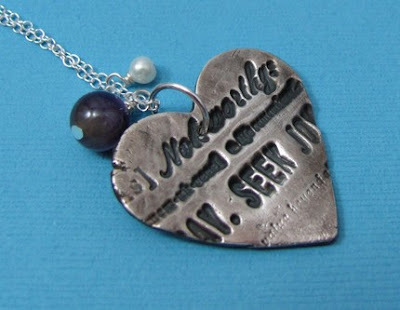 For this week's Artist Highlight, I will be interviewing Erin, the owner of Etsy Store HeartsABustin. She is a fabulous jewelry maker that I found simply by looking for Knoxville artists on Etsy. (It's a great way to network for artists and just interested people.) 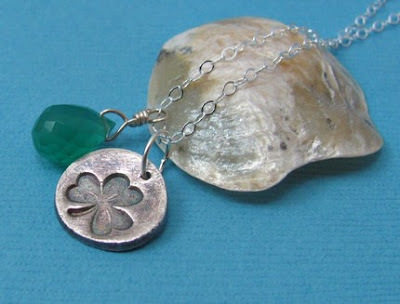 Erin makes several different styles of jewelry that I just love-- my favorite being her metal clay work!!! She is not only inspiring us with wise words, but hosting a GIVEAWAY and giving a discount to all A Girl and Her Scout readers through Oct. 1st so be sure to scroll down for more info! Hey Erin! Welcome! Tell us a little bit about yourself and your awesome jewelry. I'm originally from Sevierville, TN, and I moved to Wilmington, NC, eleven years ago. I started beading 4 years ago and have grown so much in that time, it's been amazing. I've tried all sorts of things - wire wrapping, polymer clay, and my latest obsession, precious metal clay and small amounts of metalworking. I've really found my passion in working with metal clay. 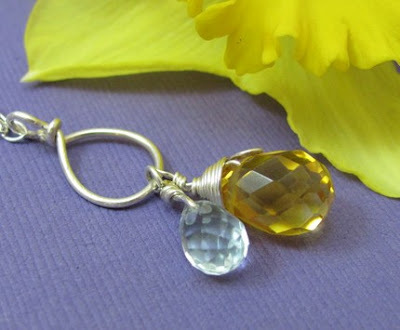 I really love the modern lines I'm coming up with in my jewelry now, which is really cool, because I'm normally very feminine, flowery, and girly. I'm exploring a new side of my personality that was apparently dormant! 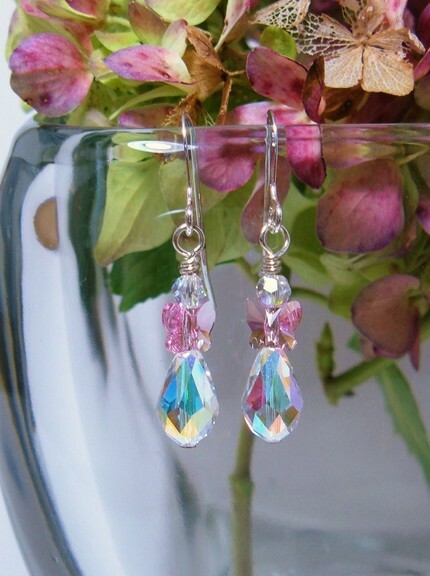 Besides the cool jewelry line you have in your Etsy store, what else do you like to do? What first drew you to jewelry-making? I've never really been a jewelry-wearing person, and I discovered it was because I just didn't like most of what's available in the stores. When I started being able to put my own combinations together, something clicked, and now I LOVE jewelry. Everything - nature, pieces of gorgeous fabric, what I see other people wearing, fantastic color combinations. Sometimes I like to go walk through the mall just to see what's in the windows of the stores. I'll see combinations of textures and colors I wouldn't have normally thought of, and then I can't wait to pull out my notebook and start sketching out ideas. Don't expect it to happen overnight - the overnight successes on Etsy are few and far between. I've gotten where I am now through a LOT of hard work, frustration, and just trying different things. You have to find what works for YOU - don't do what works for someone else, because that may not be YOUR magic bullet. And LOVE what you do - when you love what you do, it shows in your work, and other people will love it, too. The winner will be chosen (chosen via a random assorter) on October 1 so be sure to get in your entries by then! To enter, head over to her Etsy Store, heartsabustin, and leave a comment here about your favorite item(s). Additional entries for: 1) becoming a first time follower of A Girl and Her Scout 2) Posting this giveaway with a link to my blog on your blog 3) Posting this giveaway with a link to my blog on your facebook and/or twitter 4) “Hearting” or adding HeartsaBustin to your “Favorites” on Etsy and/or 5) making a purchase out of her store (one entry for every purchase). Be sure to leave a new comment for each additional entry! In addition, through Oct 1 she will be offering a 20% discount to all A Girl and Her Scout readers! YAY!!! Just use key word “girlscout” at check out to receive your discount. Happy shopping and crafting and many thanks again to Erin for participating in my Artist Highlight of the week! Thank you so much for doing this awesome interview! I really appreciate this! 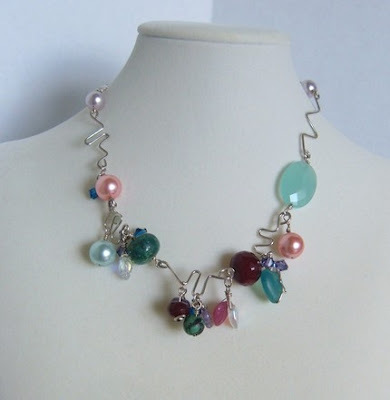 I love the Candyland necklave, it is the cutest thing I have seen in a long time! You are so creative with your artist interviews. Please go to facebook and check out 2 North Shore and become a fan then you can vote on the photo contest. Jeff and I entered and his photo won best sky. There is a people's choice and please check it out...hint,hint mine is the hang glider. I like the necklace, i really like this interview, enter me in the contest! I like the Pearl Dangle Bridal Necklace! I'm a sucker for pearls. LOL! I would love to win the earrings though. They are so pretty! The Copper Pumpkin Necklace is my favorite! I'm a new follower of your blog with google friend connect! Love the La Femme Necklace. She has some great stuff. I like the Tango Bracelet (swarovski crystals and pearls). I like the Caribbean Blue Necklace. 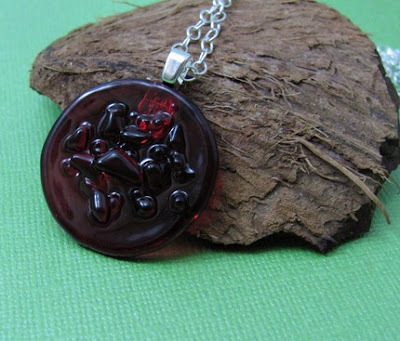 I added HeartsaBustin as a favorite on Etsy. 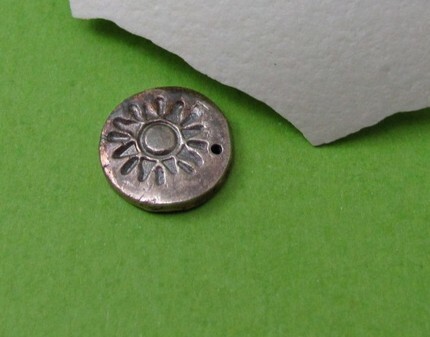 I like the Precious Metal Clay Flower Pendant!